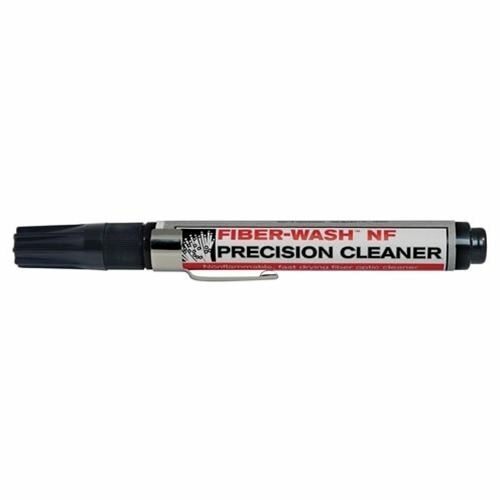 FOCCUS™ Fiberwash™ NF Precision Fiber Optic Cleaning Pen contains a nonflammable solvent cleaner that quickly and safely cleans the end face of fiber optic connectors, splices and ribbons. It also dissipates static charge, which prevents attracting airborne contamination that cling to the end face surface. 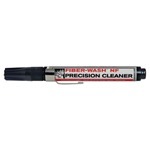 The cleaning formulation has fast evaporation and low odor, is plastic safe, residue free, and low VOC. This non-pressurized container can be easily and safely transported. For best results, use with the QbE® Cleaning Platform or CCT™ Clean Connect Tool, with the Combination Cleaning™ process.